Hi lovelies, because 99% of the time, whether i am working or not, my brain is occupied with the girls – who needs collecting from school or swimming, who has a party, who isn’t sleeping or eating properly, who needs special attention at the moment… my mind got wandering to spaces of the home that are just about kids just being kids – be it a corner of their bedroom or one in the lounge, a place where children are able to access the things that makes their souls sing and KEEPS THEM BUSY, oh i don’t know, for five minutes! 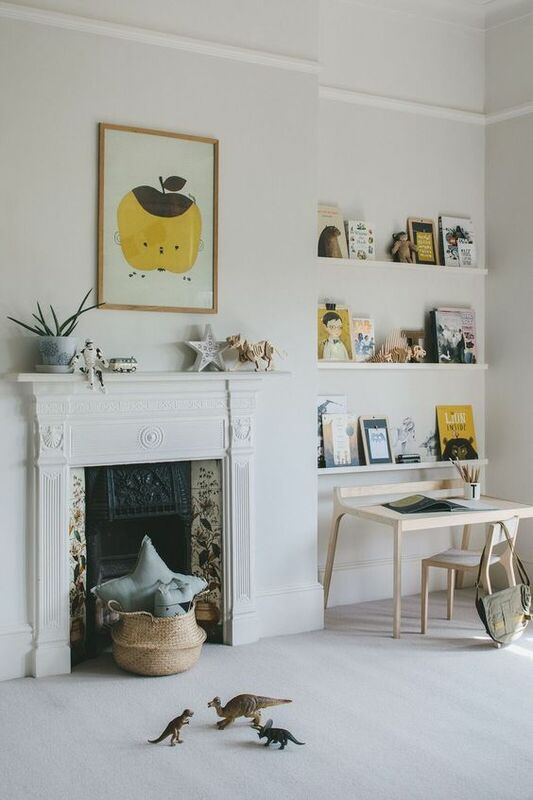 We are very fortunate to have a playroom in our home – one with plenty of child height cupboards where Charley and Ava can access their toys and stuff – it looks nothing like these beauteous spaces i found on Pinterest though, that’s all i can say…one can dream, right? Please can someone tell me how to keep order with puzzles and things? It drives me stark, raving mad when i find a puzzle is missing a couple of pieces, it just feels so wasteful. And Ava is constantly getting into the cupboard with all of our puzzles and pulling them to the floor – not ideal. 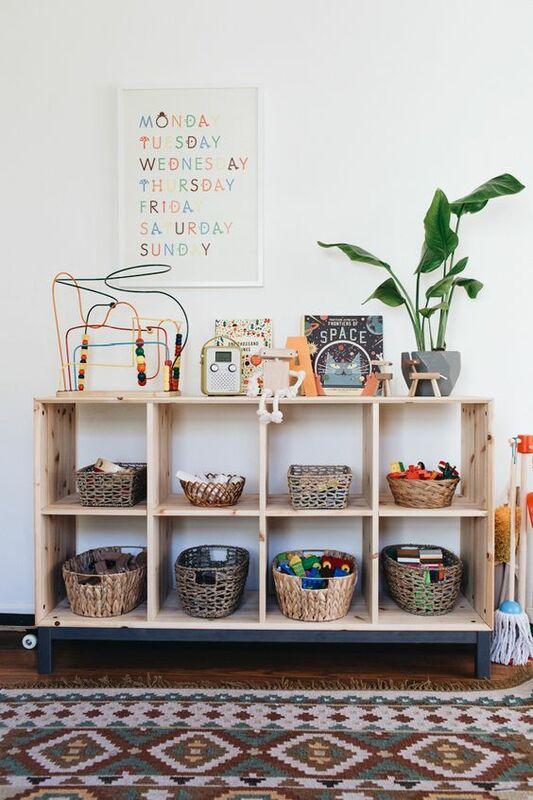 This pretty cabinet keeps things visible but not necessarily easily accessible. 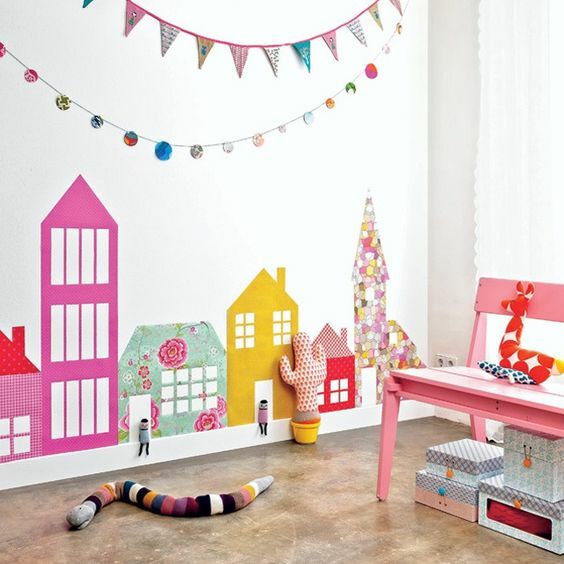 This bedroom corner is so lovely for a tween don’t you think? Tweak it a little and it could easily fit into the corner of a living room too. 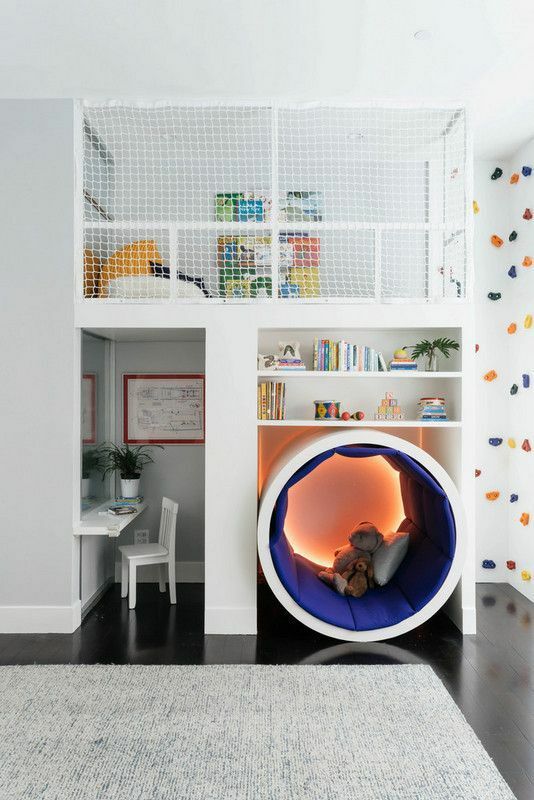 Never mind a kid – i could do with this dreamy reading and napping corner – don’t you dare wake me! 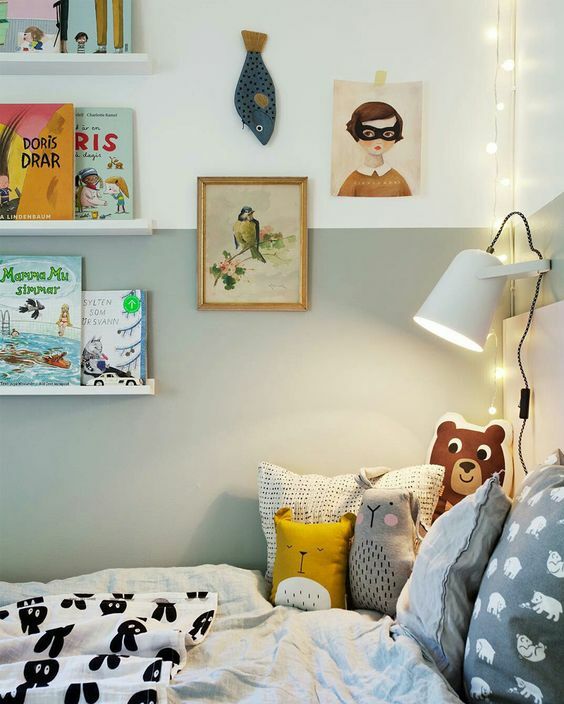 I love the idea of making a bed a reading corner – just a couple of library-style shelves with current favourite books, a nice light and some comfy cushions and you’re A for away. A lovely spoil for an enthusiastic reader or as a means to getting a child to stay in bed a little longer in the mornings. 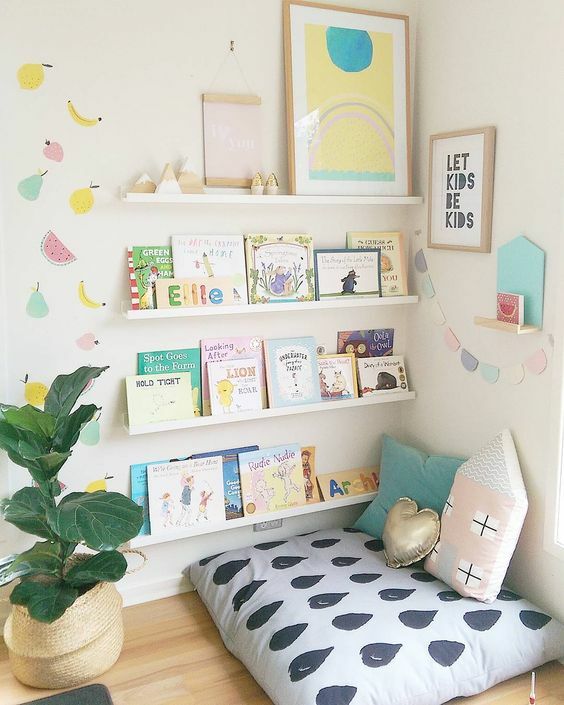 The open library shelves ensure children will head here for quiet time and book sessions but its the floor cushion that ensures they’ll stay – floor cushions are a must if you have children – that and tables and chairs that are their height too. It’s Charley’s birthday in a couple of weeks and she really wants a doll’s house. My problem is i really really want to make her one from scratch and decorate it using scraps of wallpaper i’ve collected over the years – BUT who has the time to do that and i’m seriously running out of time. Also, she wants it to be pink and purple – not exactly a colour scheme i’m mad about. 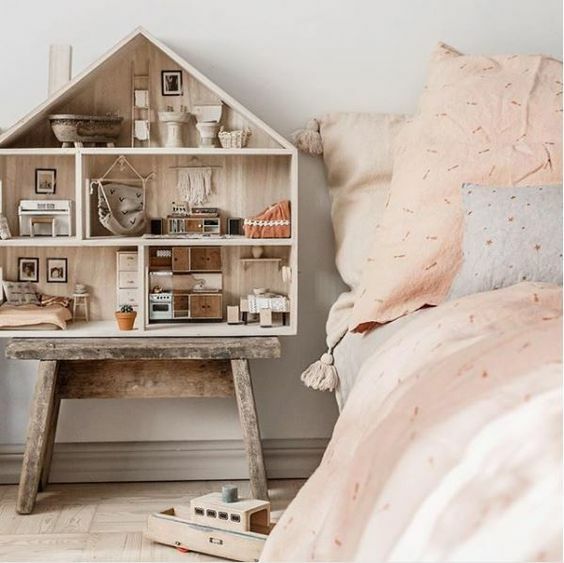 Back to my dollhouse dreams – isn’t this adorable vintage-esque house so lovely? Three storeys of endless game playing yet its compact enough to fit on a stool next to a lucky little girl’s bed. 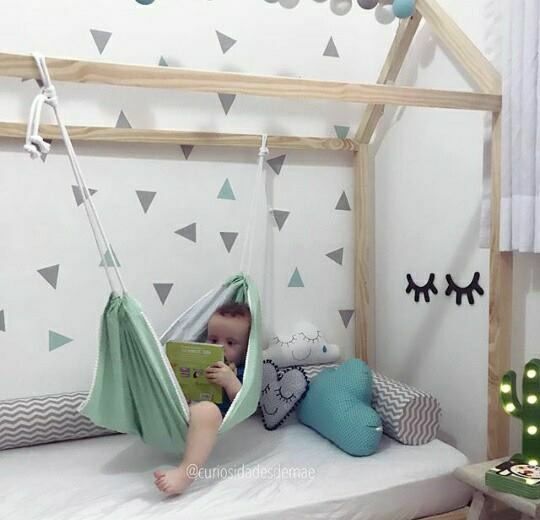 This space is more sterile than one i could ever imagine living in but it has some super cool ideas! OMG THIS is amazing don’t you think? 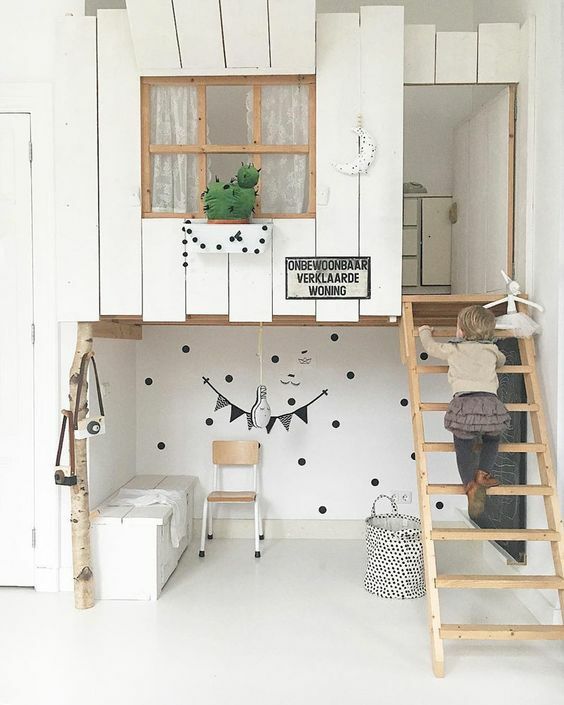 Who wouldn’t have loved having an indoor treehouse? I am mad about this! 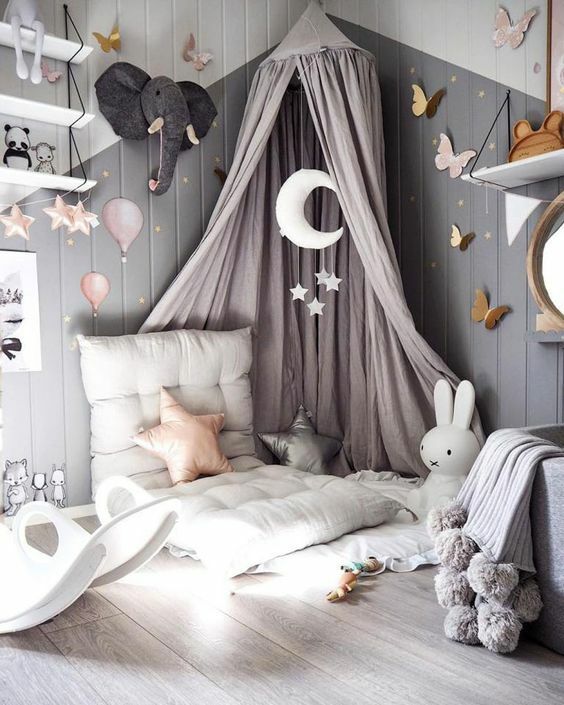 This little sleeping cubby is so sweet, don’t you think? Aside from the cuteness factor which is off the charts, HOW did they get that baby to sit still and ‘read’ their book. 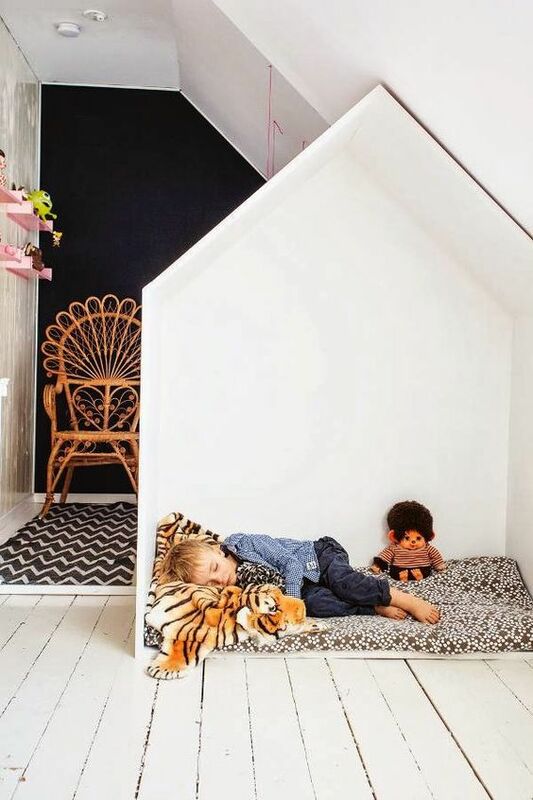 I love a little house frame for a kids room – it’s an instant nook for a small person! Hope these made you happy…they did me!